The Launch of Our Latest Name Tag! Magnetic Name Tags from Tag UR It! inc., The Magnetic Law of Attraction! Random Fact of the Day: Did you know??? Name tags became popular in the workplace after 1959 when C-Line Products introduced their “Hello My Name is” stickers. After those stickers became hugely popular, more permanent forms of name badges, such as the varieties we make here at Tag UR It! inc., became a staple on employees of businesses nationwide. Exclusive Facebook Giveaway! Enter to win a Custom Luggage Tag on our Facebook Page today! We just launched an exclusive Facebook giveaway! Are you ready to win a Custom Luggage Tag from Tag UR It! inc?? Click on the photo below to visit our Facebook page! “Like” us on Facebook and comment on the photo to be entered. A winner will be selected on Monday, October 28th! Good luck!! Are you a satisfied Tag UR It! inc. customer?? Have you done business with us?? Are you a satisfied Tag UR It! inc. customer?? Take a moment and help us out by writing a review on Yelp! Thank you!! Techno Engraving: The Making of a Name Tag! Ever wonder how we make our black engraved plastic name tags? Take a look at our new Techno Engraving video!! Come on in and see what Tag UR It! inc. can offer you!!! Happy National Name Tag Day! 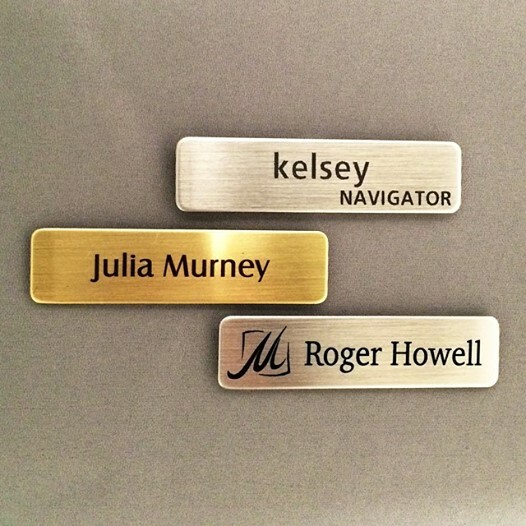 Today is national Name Tag Day! This week is actually “National Celebrate Your Name Week”! Here at Tag UR It! inc., everyday is Name Tag Day! Are you celebrating your name this week? Check out this blog we posted about a year ago and take a moment to think about “What’s in a name”? Your name certainly doesn’t define who you are, but it gives you an identity, especially to the casual acquaintances you meet on a daily basis. These acquaintances could be the nurses that treat you at the hospital, the hostess and waitress at the restaurant you dine at, the staff at the hotel you stay at, the lawyer, the doctor, or the businessman preparing your taxes. One thing most of these acquaintances will have in common? They will wear a name tag. That name tag will be your first personal impression, introducing you on a personal level. When you know someone’s name, they are no longer just a face you pass by throughout your day, but someone you get to know, even just for a moment. Companies and businesses have their employees wear name tags for many reasons. First, of course, in order for customers or clients to be able to identify employees by name. That name tag brings a sense of responsibility to that employee. When they are wearing it, they represent their company and are there to make the name of that company proud. This gives the individual the confidence to stand tall and represent themselves. The name tag may also show rank or position, demanding well deserved respect of those wearing it. Who knew that a name tag could mean so much? So if you ran a business, company, or event, wouldn’t you want that first impression to be the best out there?? That’s where Tag UR It! Inc.comes in! Tag UR It! 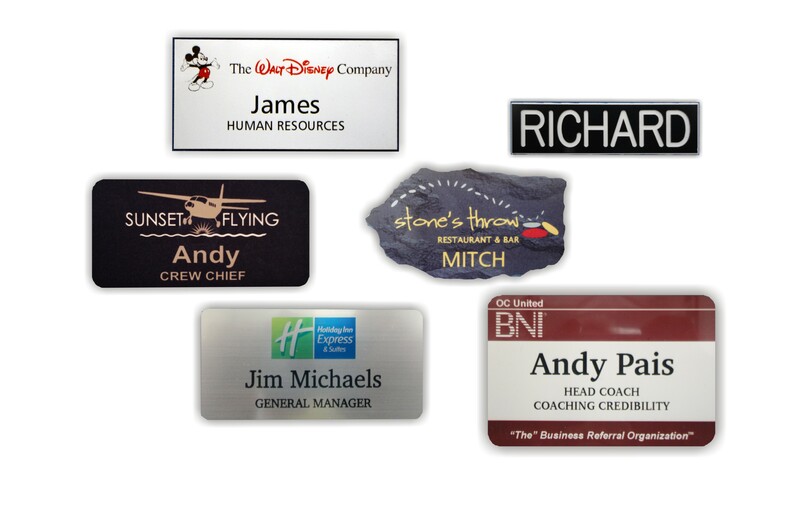 Inc. makes a name tag that will stand out above the rest! Whether you need name tags or event ID tags, Tag UR It! has the best out there! Wouldn’t you want your employees to be proud of the name tag they are wearing, representing your company or business? Give them the confidence with a great name tag! !